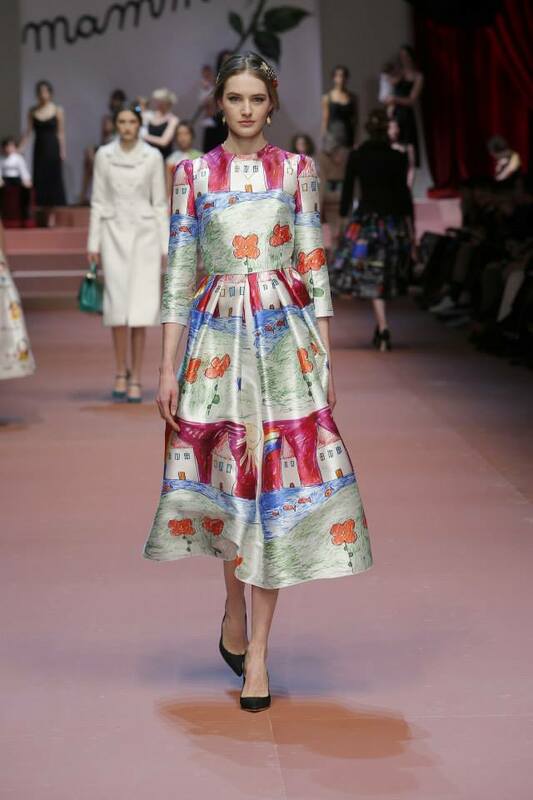 This week started with some amazing runway looks from Milan Fashion Week. 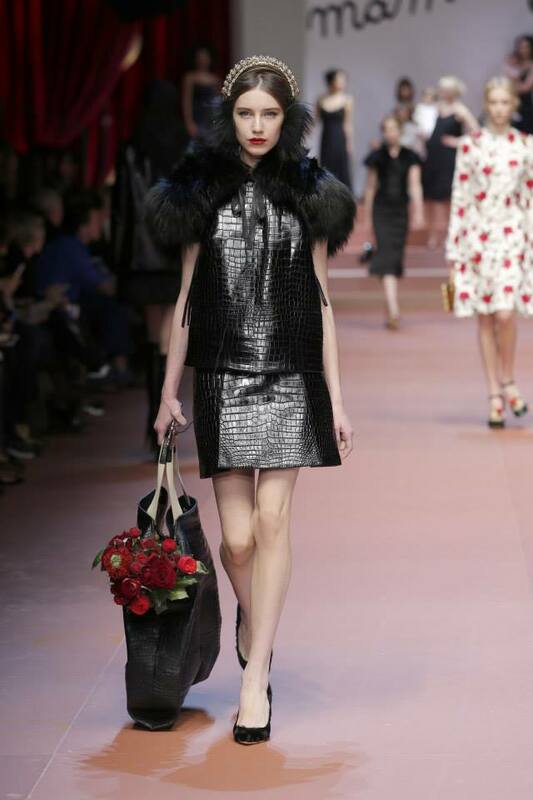 Now Italians are famous for their impeccable taste in high-fashion and food, and no wonder the trends showcased at this highly-acclaimed runway looked perfectly delectable to us. 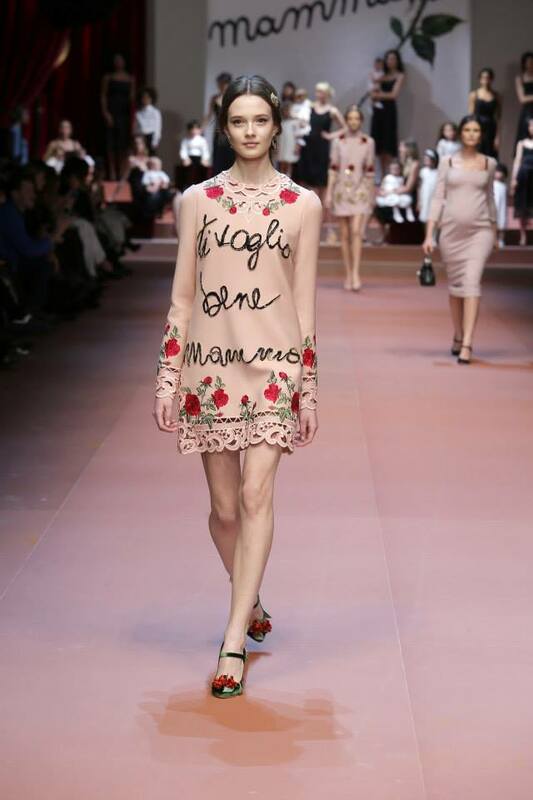 There were some very interesting shows by fashion giants like Salvatore Ferragamo, Emilio Pucci and more, but what took our breath away was a gorgeous show by Dolce&Gabbana. 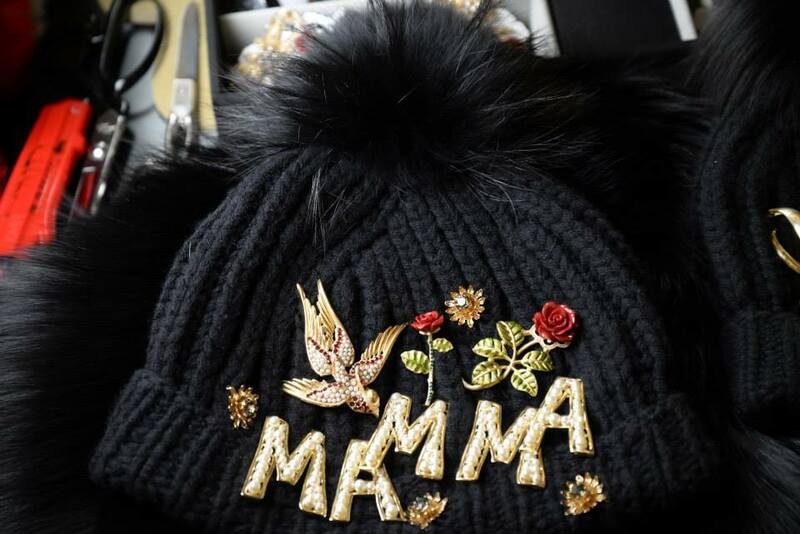 From scarlet roses embroidered beautifully on green, gold and black canvas to the adorable graffiti scribbled on pleasant peach, yellow, orange and white ensembles — the D&G show dedicated to motherhood was just-so-pretty! 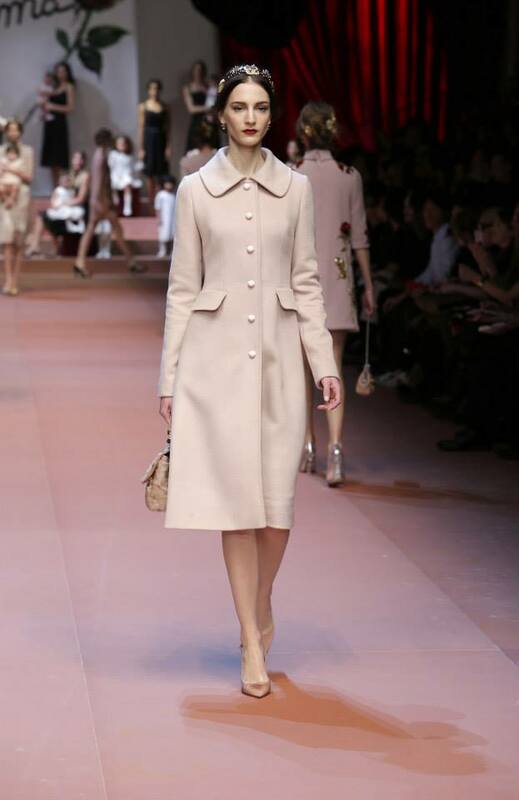 The faux fur and leather accentuation at collars of lacy dresses and cashmere overcoats were absolutely classy. 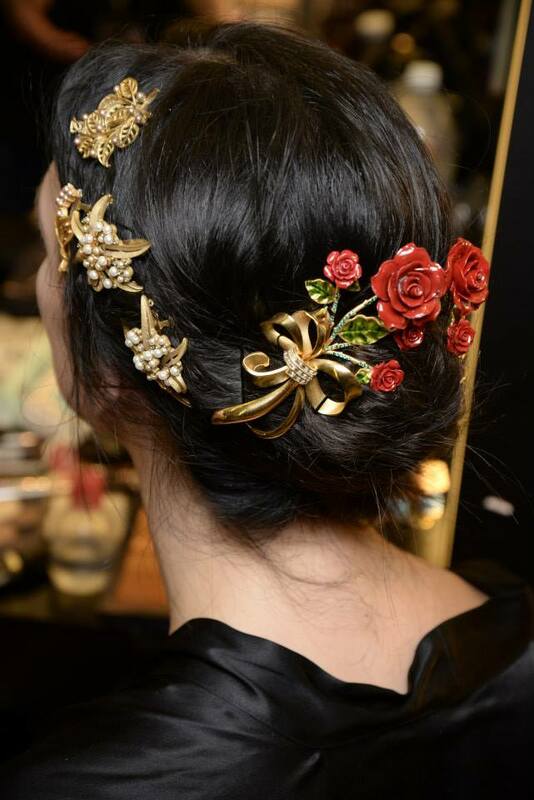 The ramp models showcased some very interesting accessory innovations with floral broaches used as hair pins on ruffled hair, and carried ornate box-clutch and lush velvet totes to compete the look. The floral Mary Janes and gold headband and headphones were noteworthy too. Take a look at some select pictures from the runway and decide for yourself!